Top three places to travel this year! Have you made your travel plans for this year yet? If not, leave it to us to tell you why you should include these three fabulous destinations into your travel itinerary this year! Trust us, you will not regret it. Here is our Top 3 destination of 2016. 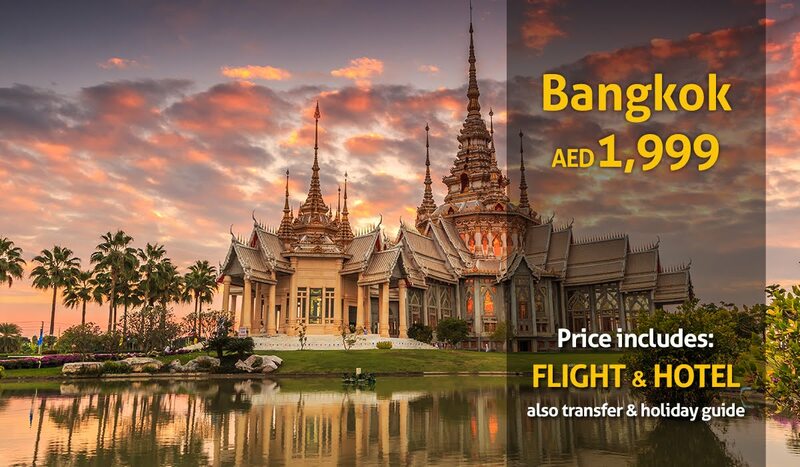 Our choice of these destinations is based on multiple factors such as budget-friendliness, family getaways, connectivity, activities and natural beauty. This gem of a country hidden away in Caucuses region is surrounded by Turkey, Azerbaijan, Russia and Armenia and is one of the most beautiful countries in the world. Located at the intersection of West Asia and East Europe and this amazing stretch of land is a mere four and half hours away from Dubai. Tibilisi, the capital city is easily the most beautiful cities in the Caucuses region, surrounded by pretty hills and monasteries and sulphur springs. Whether you are looking for great food, natural beauty or a family friendly destination, Georgia has it all for you. Even if you are short of time, there is a lot you can see in this amazing country. 1. Georgian Military Highway: Running from the capital Tibilisi to Vladikavkaz (in Russia), this beautiful 212 kilimeter long stretch goes through unimaginably beautiful landscapes – from rivers to high mountain passes, you get to see everything up close. Before you reach the end at Stepantsminda or Kazbegi, the roads winds up through Jvari Pass, the highest point in the road. On this stretch of road there are many sights worthy of mention, such as the Jvari Monastery, Ananuri Fort, the confluence of black and white Aragvi River, Zhinvali Reservoir and Friendship Monument near Gudauri . 2. Jvari Monastery: A UNESCO World Heritage Site near Mtshketa, this Georgian Orthodox monastery stands on a rocky mountaintop overlooking the confluence of two rivers – Mtkvari and Aragvi and the town of Mtskheta itself. The views are mind blowing. However, be careful when you stand on the rocky edge for that perfect shot – there are no protective railings in many places and the winds are fierce. 3. Sighnaghi: A short drive from Tibilisi, through some fascinating landscape dotted with vineyards you arrive at Sighnaghi a pretty town sitting on a hilltop overlooking beautiful green Alzani Valley to the Caucasus beyond. Walking down the road you could for a moment feel yourself in Italy – the town has been renovated not too long ago, the streets are quite new – but they have easily managed to retain much of the old world charm. 4. Uplistsikhe: An ancient “cave city” very close to the capital – gives you an insight into the lives of people centuries ago. This beautiful city overlooks river Mkvari and is a must visit place when in Georgia. 5. 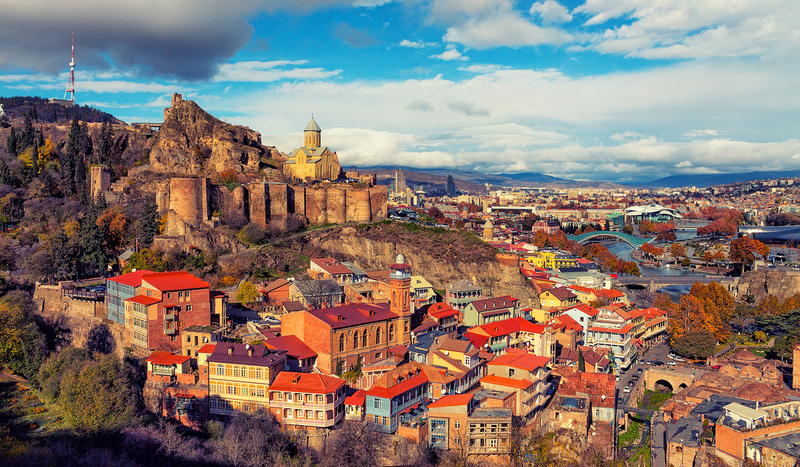 Tibilisi: A city that survived many invasions for hundreds of years has retained much of the old world charm which you can see in the old town, with its ancient cobbled stone streets. Hundreds of restaurants and café dot this area. Not to miss is the amazing cable ride over the city and the sulphur bath! It will leave you absolutely rejuvenated. Ride the funicular to Mt Mtatsminda for some mind blowing panorama of the entire city. A destination that has been on the tourist radar for years and shows no signs of abating, Prague is easily the most gorgeous city in Eastern Europe. 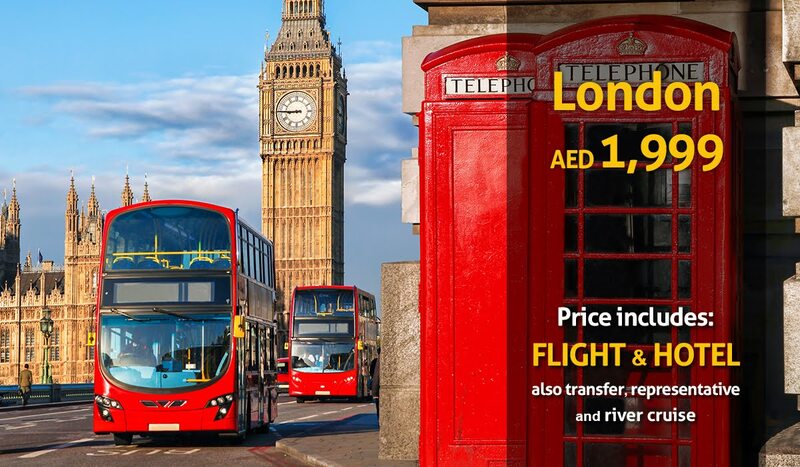 A mere six (check timing) hours from Dubai, Prague is among the TOP 3 choices for families and couples looking for a quick getaway. A beautiful and well preserved medieval city teeming with a rich cultural history, great food and shopping, parks and museums, cathedrals, museums and a very energetic nightlife, Prague is a haven for both budget and luxury travelers alike. Castle: The famous Prague castle sits on the hill top overlooking all of Prague. This humungous structure consists of multiple sections such as St. Vitus Cathedral, the Old Royal Palace, The Story of Prague Castle, St. George’s Basilica, Golden Lane (best seen at 4pm when the rays of sunshine turn this into a mellow gold colour), the Powder Tower, and Rosenberg Palace. All this can be visited for just one combine ticket. Park: A good city to get lost in, especially in of those large parks, namely the Petrin Park, the city’s biggest park with the most sweeping views of Prague. A great outing for families and children – go play hide and seek amongst the trees or get lost in the maze! Ride the funicular uphill if you are not up to walking! Old Town Square: Walking about this historical area will throw up some of the best surprises. Simply watch people while munching on a trdelnik sandwich, but don’t miss the giant Astronomical Clock. Don’t miss its hourly chime that has people lining up in thousands. A number of talented musicians and bagpipe players throng the Square, giving you the best performance right there. The beautiful Tyn and St. Nicholas churches are around the Square ring and so are the amazing catacombs right under the Town Hall. Charles Bridge: It is said that all roads lead to Charles Bridge, Prague’s unique attraction. Cross the historic bridges to find sweeping views of the river and what’s more, you might even end up finding an amazing piece of art from famous artists right there. Prague is a stunning whichever way you look it. Wander its streets, just get lost – you will not regret it. A city that grew along the canals and Amstel River, Amsterdam is every shopper or adventure lover’s top favourite spot. There is nothing like seeing this city on a boat – and boats are everywhere! The canals are incredibly beautiful and are easily the most popular tourist attraction in the city. Remember it is a city that has more bikes than any other city in the world, and biking is also the best and easiest way to explore this city. Watch out for the bike-traffic when you are looking to cross the streets! Well, there is more than just canals here – have we mentioned the museums? 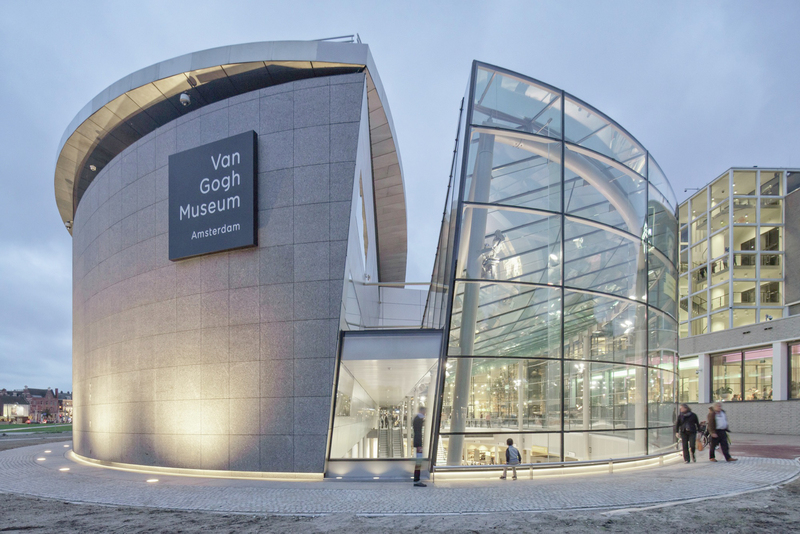 Did you know that the museum here features many of Van Gogh’s best works of art alongside an excellent biography of his life. The museums also house paintings by other famous artists of the period, like Monet, Manet, and Matisse. Van Gogh Museum: The most popular attraction in Amsterdam, for both lovers and non-lovers of art, this museum features many of Van Gogh’s best works of art alongside an excellent biography of his life. Not only can you see the master artist’s greatest work, but also works by other renowned artists like Monet, Manet, and Matisse. The Rijksmuseum: Located next to the Van Gogh Museum, this beautifully remodeled museum features an extensive Rembrandt collection and an admirable collection of other classic Dutch painters, like Frans Hals and Johannes Vermeer. 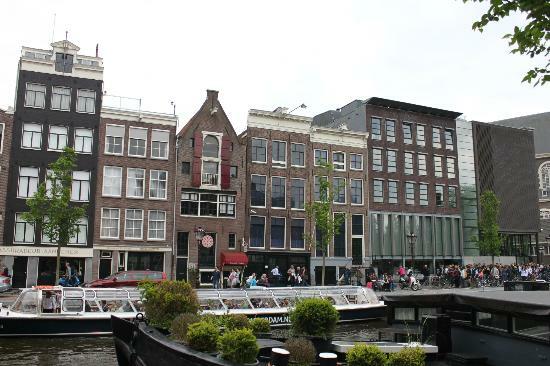 Anne Frank House: Remember the famous Diary of Anne Frank? Yes, this is all about her! This is the place she went into hiding and wrote her famous diary! Amsterdam History Museum: For the history of this amazing city, head to this museum – you will of course need a couple of hours to see it all, but you won’t regret this time for sure. Round off your visit to this fabulous “cheese” country by visiting one of the many “kaas” shops or markets for some cheese. 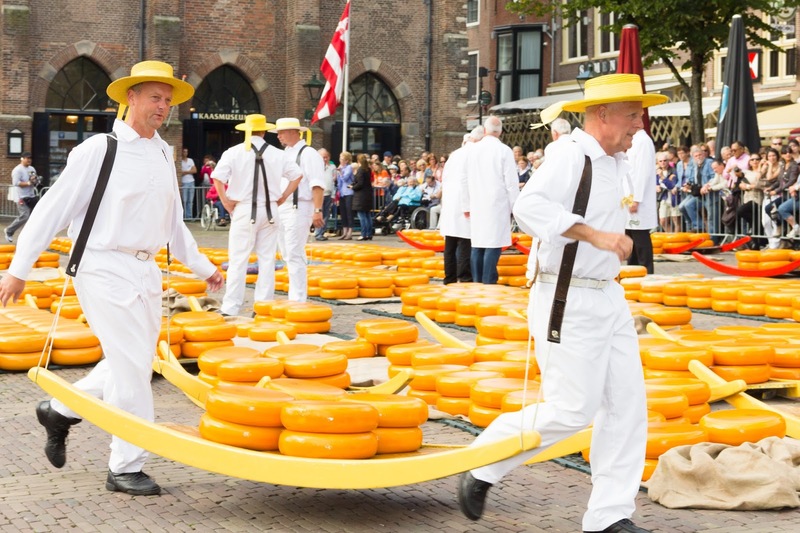 Particularly popular are the Gouda, Geitenkaas or Maasdammer. 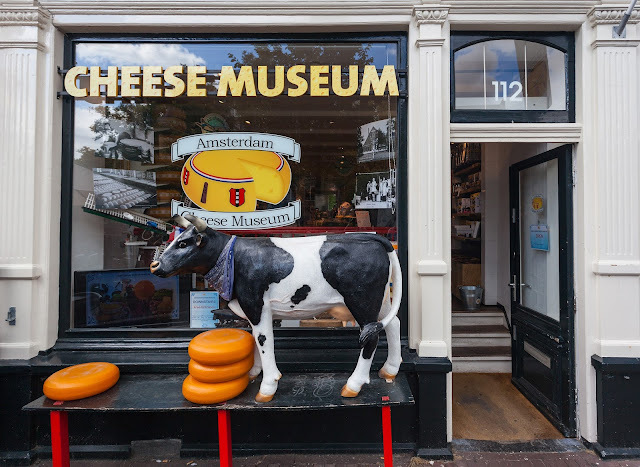 If you are a big cheese lover and want to know just how this country produces cheese, visit the Cheese Museum or visit the Reypenaer Tasting Room for some cheese tasting of some of the finest brands. No matter how many times you visit this city, there is always something new to find – and do. Be it cruising in the canals, visiting galleries and museums, cycling, visiting parks, dining out with family, shopping or club hopping, Amsterdam will spoil you for choice. Did you know that Amsterdam is among the Top 15 safest cities in the world? Does that sound like you? Then why not just hop on a plane and go experience the magic of Maldives for yourself? Whether you are looking for that perfect honeymoon spot or a luxury but affordable island vacation, this is the perfect spot. This is the place where you can literally wake up over water! Holiday Factory has some fantastic offers that will make your Maldives dream come true! Maldives is perfect combination of fun and romance – and there is something for everyone here. 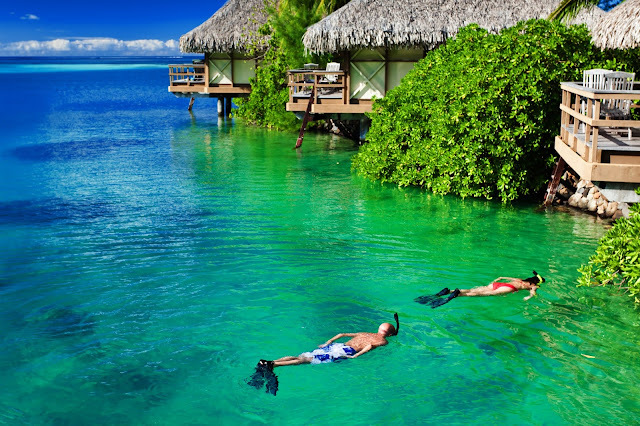 Be it for the honeymooning couple or for the adventure seeker, there is never a dull moment in this beach haven. The waters in Maldives are super still and the only waves are made from the passing boats and seaplanes. Swimming in these crystal clear waters is like swimming in your own pool, except this is one giant “outdoor” swimming pool under the warm sun and surrounded swaying palm trees. Did you know that the area covered by water today was actually land few years ago which is the reason for the shallow waters. Maldivian cuisine is primarily sourced from the sea – which means that your fish is always fresh and the sheer variety available is incredible. Sip some delicious coconut water while you lounge about the beaches or enjoy the delicious fish snacks all day long. 1. Dive the Banana Reef: A protected site and a must visit for divers – here under the overhangs and caves your chances of seeing the brilliant coral life and barracuda, morays, snappers and more are extremely high. Imagine the kind of picture you could come back with! There – we have given you another reason to get your diving license ready! 2. Go fishing and island hopping: The fish are friendly here – and even more so if you throw some bread at them! Go, catch your own fish. By night or day, this is a fun way to spend your time here. You could hook the big ones too! Get on a boat (usually provided by your hotel) and go from one beautiful island to another – all in a days work! 3. Ride the whale submarine: Ideal for families with kids or non-divers. 4. 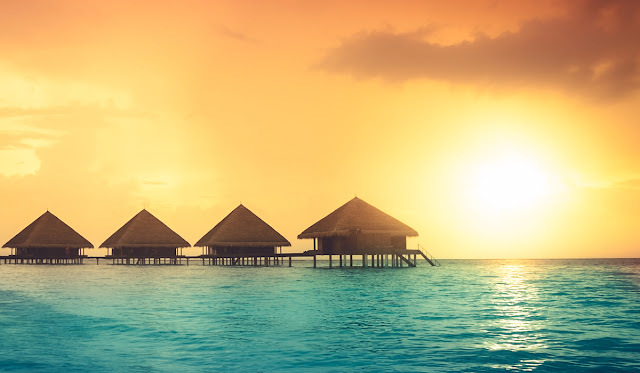 Indulge your senses in a spa: How about some pampering in the Maldivian spas as the blue waters lull you into a gentle sleep? 5. Visit the National Museum: Located in Male, this small museum hosts some fine collection showcasing the rich cultural heritage and history of the country. Many of the items here once belonged to kings and queens. 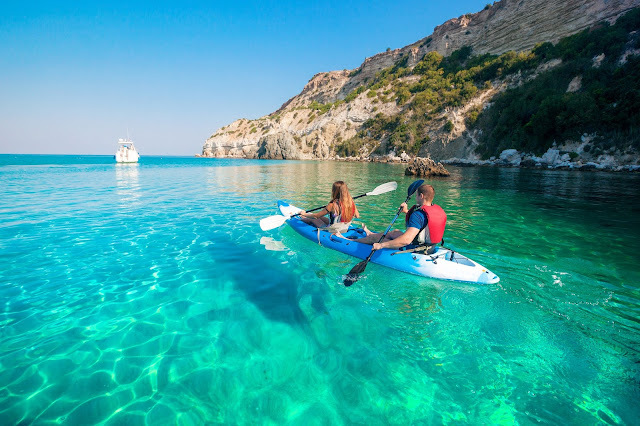 You can opt to take part in the complimentary water activities your resort will provide you-such as canoeing, stand-up paddling and snorkeling. The eastern region of Georgia – Kakheti, is fast becoming a major tourist draw. 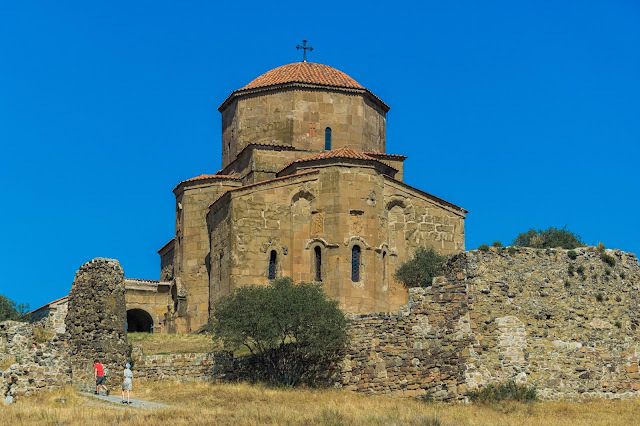 Kakheti, bordered by Russian Federation (northeast) and Azerbaijan (southeast) has some unmissable attractions and a landscape that beats any European country side. Easily reached from Tibilisi (in under 1.5 hours if you are driving yourself), this is also Georgia’s wine capital. Wine Route: Being the largest wine producing region of Georgia, Kakheti is all about wine and vineyards. Which means that as you drive along, you are greeted with endless stretches of vineyards full of luscious grapes interspersed with wine-tasting centre everywhere. Be assured that if you missed one, the next one comes along rather quickly. What’s more, every home in the region makes their own wine and you could easily get invited to drink a glass of two. With over 400 varieties to choose from, you cant go wrong here. 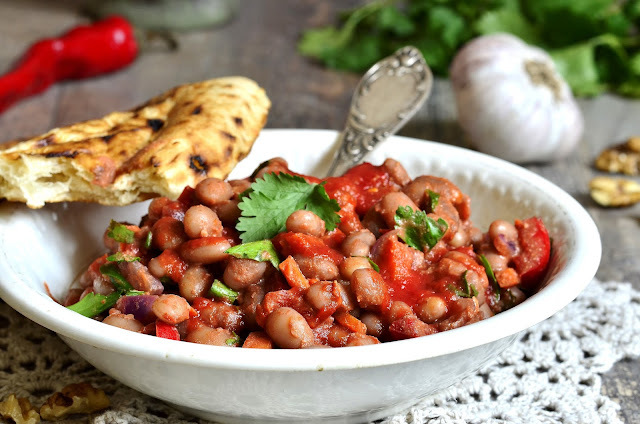 This – ladies and gentlemen – was Stalin’s favourite! One of the many wine-tasting centres along the road. Along the roads, you will come across people selling cheese, bread, churchkhela and honey. My personal favourite is of course Kindzmarauli, a red, semi sweet dry wine and I’d like to add here that the red wines pair perfectly with Kakheti’s traditional churchkhela candies you see everywhere. But that could be just my perspective. Give it a shot. Bodbe Monastery: An old monastery in which the body of Saint Nino’s (Enlightener of Georgia) is buried. Remember that you cannot take pictures inside here – and women are expected to cover their heads when entering this place. St. Nino, revered by most Georgians brought Christianity to the region. Signaghi: A pretty town, in fact, the prettiest town in this region, it sits on a hilltop overlooking beautiful green Alzani Valley to the Caucasus beyond. Walking down the road you could for a moment feel yourself in Italy – the town has been renovated not too long ago, the streets are quite new – but they have easily managed to retain much of the old world charm. City Wall: The 4500 m wall surrounding the city has 23 towers and was built in the 18th century by King Erekle II, to protect the area against attacks. 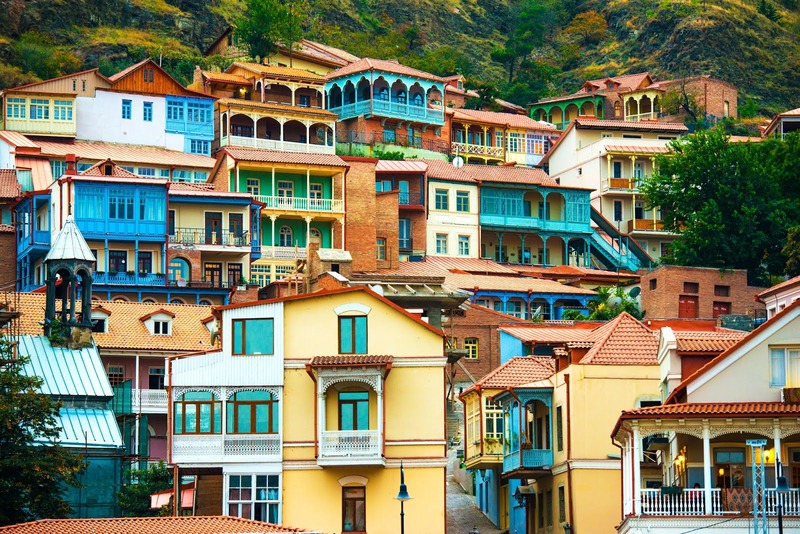 Sighnaghi’s fortifying wall is one of the biggest in Georgia and although some of the areas have been ruined, some sections have been restored for tourism – and is a huge draw. You can climb up this wall as well for a birds eye view of your surroundings. 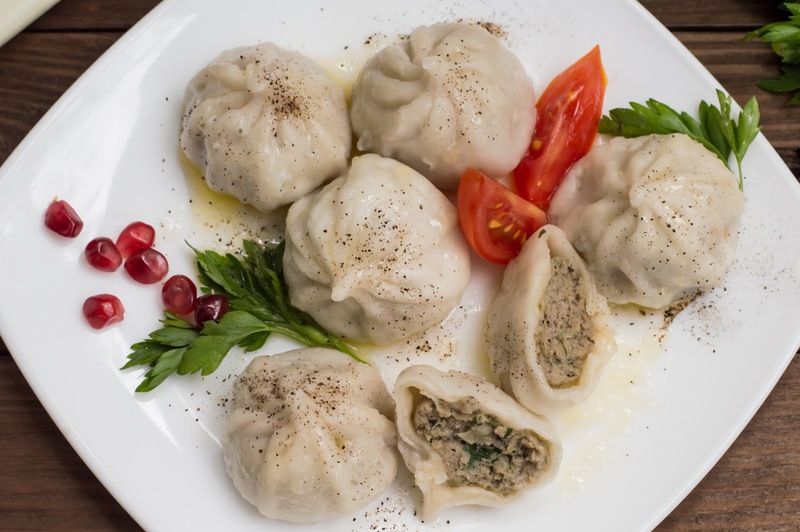 There is a lovely restaurant here overlooking the valley and Azerbaizan beyond, that serves some fine Georgian meal – try their lobio served in a clay pot, ostri, chicken in walnut, warm breads and tkemali. David Gareja: A monastery complex high in the mountains (also shares borders with Azerbaijan) is cut into a single big rock. While it is not easy to reach here, the views totally make up for the effort. You will need a 4WD and an experienced driver to bring you here. Travel: From Tibilis marshrutkas run daily from Samgori station at 09:00, 11:00, 13:00, 15:00, 17:00, and 18:00. Travel duration is 1.5 hours, cost 6 gel, with a same schedule returning. Buy: Wine, carpets and cheese. If you have not booked your tickets to Georgia yet, I’d say get the fantastic deal I got with Holiday Factory. I totally recommend this tour company – it was my first and I am all for it in future! Georgia is one of the oldest wine producing countries (800 BC), is located at the intersection of West Asia and East Europe and this stretch of land between the Black Sea and Caspian Sea is one of the most beautiful places in the world. It is also known for its beautiful women and fruits! Georgians are NOT Russians or Turks, they are a unique ethnic group, holding strong against centuries of invasions by Mongols, Russians, Ottoman, Byzantine… They are a majority Christian country (Christianity came here in the first century). Georgia was the second nation to adopt Christianity, with the evangelism of Saint Nino of Capadoccia. Running from the capital Tibilisi to Vladikavkaz (in Russia) through some incredibly spectacular scenery and high mountain passes, this beautiful 212 km stretch also has some must see sights along the route. Jvari Pass (Cross Pass) is the highest point on this road. Highlights: Whether you are self-driving or on a bus, these are a few highlights along the way you should not miss. Jvari Monastery: A UNESCO World Heritage Site near Mtshketa, this Georgian Orthodox monastery stands on a rocky mountaintop overlooking the confluence of two rivers – Mtkvari and Aragvi and the town of Mtskheta itself. The views are mind blowing. However, be careful when you stand on the rocky edge for that perfect shot – there are no protective railings in many places and the winds are fierce. Do, however, drink a cup of tea from a “car coffee shop” run by a smiling Pakistani man. Confluence of Black and White River Aragvi: From a spot on the road you can see the two rivers – the black and white Aragvi meet and flow a short distance as two distinctly coloured rivers! Zhinvali Reservoir: A hydroelectric dam, fed by River Aragvi is a definite “stop” on this highway. The blue waters surrounded by vibrant green mountains is a photographers delight. If you have the desire to eat fresh fish, head out to the nearest village with a restaurant and ask for trout. Ananuri: A beautiful castle on the banks of Aragvi River. Stop here for a while and walk back to the bridge for the best views of this old castle. There is a restaurant by the same name just before you reach the castle itself. The views from the terrace are fantastic, so its a good idea to stop by for a meal of trout freshly procured from the waters below! Gudauri: Georgia’s mountain sport destination with ski slopes (skiing season starts December and ends in April). If you are a adrenaline junkie, time your visit to coincide with the ski season.Paragliding however can be done on any day when the weather is good. Situated at an altitude of 2200m at Cross Pass, Gudauri is a beautiful mountain town.Be warned that if you intend to stay here in the low season, you might end up being the only one at the hotel! Most hotels remain closed in the non-skiing season. Bonus pic: A sheep dog guarding his flock. It is not uncommon to find large flocks of sheep on the roads, holding up traffic! 5. Friendship Monument: As you drive past Gudauri towards Kazbegi, you see this colourful monument covered in murals. This monument was built in 1983 as a sign of continued friendship between Russia and Georgia. This is a tourist haven and it is not uncommon to find visitors staring long and hard at the snow-covered mountains or into the blue lake in the valley below. The last town on the Georgian Military Highway before the road enters Russian territory. If you have the time, make this your stop for a day. The views from this tiny frontier town are fantastic, food is amazing and there is plenty for the traveler to do. TO KNOW WHAT YOU CAN DO IN KAZBEGI, CHECK OUT THE NEXT POST! If you looking for a package tour to Georgia, I totally recommend Holiday Factory. Petrais a historical and archaeological city in the southern Jordanian governorate of Ma'an that is famous for its rock-cut architecture and water conduit system. Another name for Petra is the Rose City due to the color of the stone out of which it is carved.Established possibly as early as 312 BC as the capital city of the Arab Nabataeans, it is a symbol of Jordan, as well as Jordan's most-visited tourist attraction. It lies on the slope of Jebel al-Madhbah (identified by some as the biblical Mount Hor) in a basin among the mountains which form the eastern flank of Arabah (Wadi Araba), the large valley running from the Dead Sea to the Gulf of Aqaba. On the Jordanian side, the Dead Sea is possible as a day trip from both Amman and Aqaba. The road is a good dual carriage way. Tourist areas are accessible from the main road that runs along the eastern side of the body of water and connects to Jordan's Desert Highway running to Amman. Highways leading to the Dead Sea are clearly marked by brown tourist signs. It is an ambitious 3-hour drive from Aqaba in southern Jordan. Taxi services for travel to the Dead Sea can be purchased for the day 20JD if you hail a cab from down town, down town hotels charge 35JD for the same service. Many of the local hotels and resorts have shuttles that travel from Amman to the Dead Sea for a fee. There are a handful of bus lines that also run from Amman on a daily basis. JerashA close second to Petra on the list of favourite destinations in Jordan is the ancient city of Jerash, which boasts an unbroken chain of human occupation dating back more than 6,500 years.Jerash lies on a plain surrounded by hilly wooded areas and fertile basins. Conquered by General Pompey in 63 BC, it came under Roman rule and was one of the ten great Roman cities of the Decapolis League.The city's golden age came under Roman rule, during which time it was known as Gerasa, and the site is now generally acknowledged to be one of the best-preserved Roman provincial towns in the world. Hidden for centuries in sand before being excavated and restored over the past 70 years, Jerash reveals a fine example of the grand, formal provincial Roman urbanism that is found throughout the Middle East, comprising paved and colonnaded streets, soaring hilltop temples, handsome theatres, spacious public squares and plazas, baths, fountains and city walls pierced by towers and gates. Wadi RumDuring day it is a vast, silent place with a dramatic landscape of breathtaking, indescribable beauty. During night it is a place of infinite tranquility under the dark velvet sky filled with millions of stars. And then there are two magical moments between these periods – the sunrise and the sunset. You have to see both of them. Mount Nebo is a 1,000m (3,300ft) high mountain located 10km/6 mi NW of Madaba in Jordan, opposite the northern end of the Dead Sea. According to ancient tradition, this is the mountain from which Moses saw the Promised Land before he died. Because of its connection to Moses, Mt. Nebo has long been an important place of Christian pilgrimage. Excavations led by the Franciscans, who own the site, have uncovered significant remains of the early church and its magnificent Byzantine mosaics. A simple modern shelter dedicated to Moses has been built over them. Just west of Jerash the castle of Ajlun is another highlight of northern Jordan. The Qalat er-Rabad, as the Ajlun Castle is locally knwon, was the base of the Arab forces of Saladin, when he defeated the Crusaders in the 12th century. The Ajlun mountains are famous for their lush vegetation and thick green forests and a good place for hikes. The castle of Ajloun was built in 1184 by a nephew of Salah al-Din (Saladin to Westerners) to defend the land held by the Arabs from the Crusaders. It is almost opposite the Castle of Belvoir on the other side of the Jordan. At that time it was known as Qalat al Rabadh. Originally it was a square castle with a tower at each corner; it was enlarged some forty years later, when another tower was built. Under the Mamelukes, Ajloun was one of the chain of castles which, using heliograph, fire beacons and pigeon post, could transmit messages from Damascus to Cairo within twelve hours. It was severely damaged by earthquakes in the 18th and the beginning of the 20th centuries, and restoration work is proceeding. Alone on its hill, and looking over some magnificent countryside, Ajloun was admirably sited and was never taken by the Crusaders, although the Mongols in the 13th century occupied it for a short time before it was retaken by its original owners. The entrance to the castle The moat is still there and the castle is entered over a modern bridge. Travel theme. Theme images by Leontura. Powered by Blogger.